Perhaps more often than not, Death comes for you at the worst time. But if we're to learn anything from it, it's to live life like there's no tomorrow. I never met Bob "Skoot" Leong, but I respected the guy. 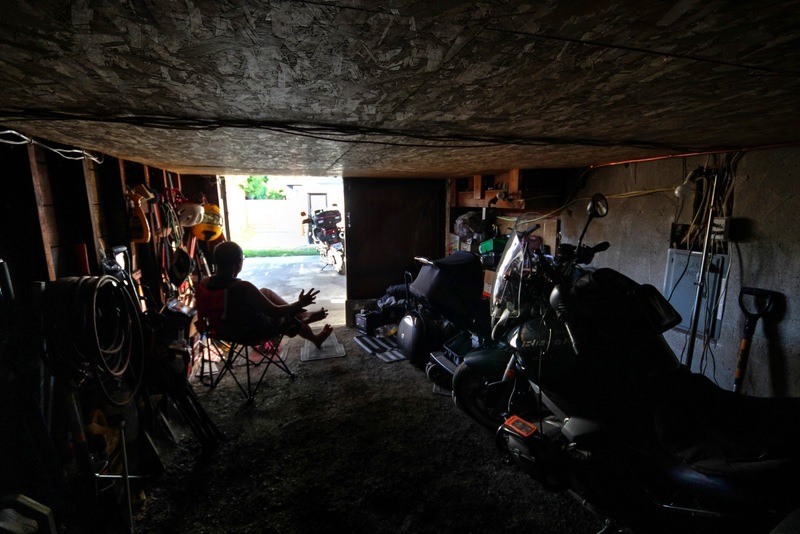 Reading his motorcycle blog, he seemed eccentric, strange, serious, very serious, and shy. Kinda like myself. I suppose that's why I felt attracted to his writings. Often times, his writings were really just a collection of photos and captions. But sensing he and I shared something similar deep within the tangled mess of our neural pathways, I assumed there was even a method to the madness of his postings. Sometimes, you just have to ease off the throttle, and let it coast. He'd often comment on this blog of mine about how he grew up feeling isolated, lonely, and wanting to feel included. He wrote those words because I would often describe similar feelings of my own. I spent many lunch hours during high school hiding in the library, reading Kurt Vonnegut novels, because I didn't want other kids to notice me being alone. For me, loneliness progressed into anger. The anger only alienated me from other people, and I became even more alone. I learned to bottle up my feelings and stay in my intellect. I was always calm and cool there. I didn't act like an idiot or a baby, and people respected me for my thoughts. But being disconnected from my emotions made it difficult for me to be in relationships. But the longer I kept them bottled up, the more I wanted to let them out. By the time the Internet and Blogger came around, it was possible to journal those feelings and have a small audience read them and comment back. Except, I often find myself easing off the throttle, worried that I'm going to alienate people. Instead, I use a lot of symbolism and double-entredres so that only the people who know me better will understand. About 40% of the articles I've written on this blog, I never published. Just writing down the thoughts helped me enough. In the end, the writing is like therapy. I tend to think that Bob and I rode motorcycles for very similar reasons. I think we blogged for the same reasons too. I think you a right. Interesting observations. Shy, to me he seemed very sociable and outgoing but still really conscious of what others thought or felt. I think that you're right on about riding and blogging being therapy. Sad that we can't express ourselves at times or prefer to keep things inside. I'm kind of the same way, that's why I love riding solo, me and my thoughts. Bob and I shared two common interests, motorcycling and photography. We had exchanged quite a few e-mails in the past about cameras. RIP Bob. I can only hope that all of the Bobs in the world will find out just how much they are really appreciated. I know that Bobskoot made it his mission to appreciate each and every one of us.